Although you aren’t currently using an app, it could still be running in the background, similar to a minimized window on a computer. Access the hidden apps through double-tapping the Home button on iOS phones, for example, and slide the apps into a closed state. 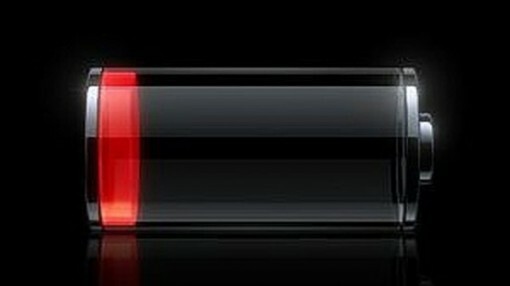 Your phone’s battery will make a strong recovery. You want to have all the latest social media updates and emails, but your cellphone’s battery takes the brunt of the polling, or checking. Go to your general settings and turn all the messaging apps from polling or push to manual. Now, your phone will only poll when you activate the app yourself. Lightning speed is what you get with 3G and 4G cell site service, but you also get a drained battery. If you have poor reception anyway, turn off 3G or 4G to use normal cell service. Your battery won’t strain to find the specialized network, saving your charge for the day. With phone manufacturers and mobile app development constantly updating software settings, your cellphone is bound to use up a charge when old versions are running. Keep up with updates to maximize power. Software bug fixes often involve power consumption, allowing your phone to keep running well past other devices. Bells and whistles are part of the fun when you select a phone. However, you don’t need to have them on all the time. Turn off WiFi and Bluetooth if you aren’t actively using them. These two hardware devices take a large chunk of battery power when left on perpetually. There is no need to have a spotlight emanating from your phone. Use the auto-dim switch in your Android or iOS phone. As you move from darkness to bright rooms, the display changes its light output. Your eyes and battery charge will thank you for the help. Your wallpaper that seems to walk and talk as you look for an app is fun to watch, but it takes considerable power to run. Select a standard wallpaper to conserve energy. Because most of your apps cover the wallpaper anyway, there is no need for a battery-draining show. Most cellphones are equipped with GPS to enable location services. You can pinpoint your location for dinner in a status update, for example. However, GPS hardware drains batteries. If you aren’t using it, deactivate location services in your settings to conserve battery power. When you stop using your phone, the screen sits idle until the lock screen activates. Some people set this mode to 10 minutes or even longer. Your battery, in the meantime, drains quickly. Reduce your lock screen timing to two or three minutes. Although you need to unlock it when you access your phone next time, you’ll have a substantial charge to continue use. You may try all of these battery-conserving tactics, but the phone still loses charge quickly. Assuming the battery is not too old, heat may be your problem. Leaving the phone in the sunlight greatly reduces battery power. Try to keep the phone at room temperature at all times. A holster is a great accessory to have because it keeps the phone away from your body for proper battery life at room temperature. Consider your cellphone habits today and alter them. You’ll see the battery last much longer than normal. The battery’s lifespan is also prolonged, giving you a long-lasting device.